Supervise your garden with ease! 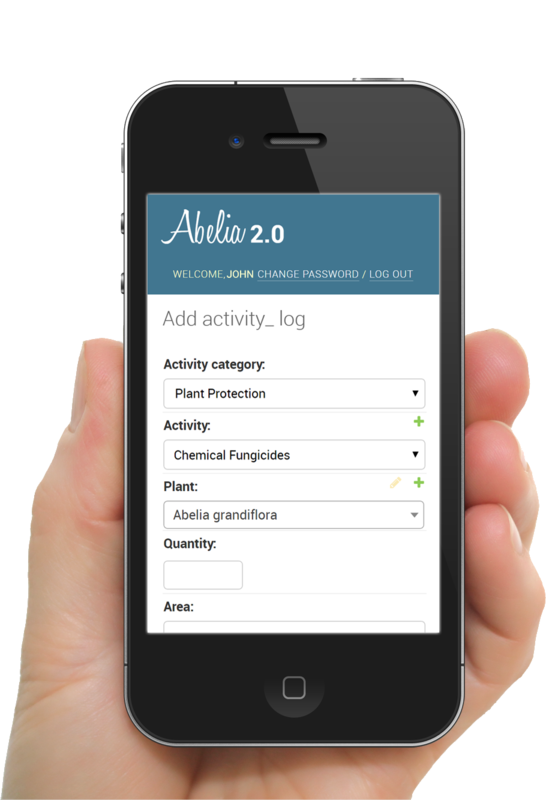 Abelia2.0 is a garden administrator web application to augment existing garden management software. With it the Administrators can easily and efficiently overview who done what, when and where. Meanwhile the staff have a straightforward and fast way to log their activities. Just have a web browser and you are good to go! Any device, any Operation System. Logical, intuitive and user-friendly interface. No more confusion! No headaches! Work from anywhere. The garden, the office or home! From your laptop or your phone! Change multiple records easily at the same time. Save hours of work. Want to see what John did in South Bed 1 last week? Two clicks. It will be revealed. Need data from a particular field? Just click on it. You can paste anywhere.